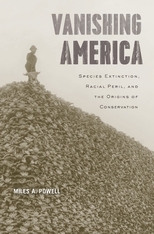 Putting a provocative new slant on the history of U.S. conservation, Vanishing America reveals how wilderness preservation efforts became entangled with racial anxieties—specifically the fear that forces of modern civilization, unless checked, would sap white America’s vigor and stamina. Nineteenth-century citizens of European descent widely believed that Native Americans would eventually vanish from the continent. Indian society was thought to be tied to the wilderness, and the manifest destiny of U.S. westward expansion, coupled with industry’s ever-growing hunger for natural resources, presaged the disappearance of Indian peoples. Yet, as the frontier drew to a close, some naturalists chronicling the loss of animal and plant populations began to worry that white Americans might soon share the Indians’ presumed fate. Miles Powell explores how early conservationists such as George Perkins Marsh, William Temple Hornaday, and Aldo Leopold became convinced that the continued vitality of America’s “Nordic” and “Anglo-Saxon” races depended on preserving the wilderness. 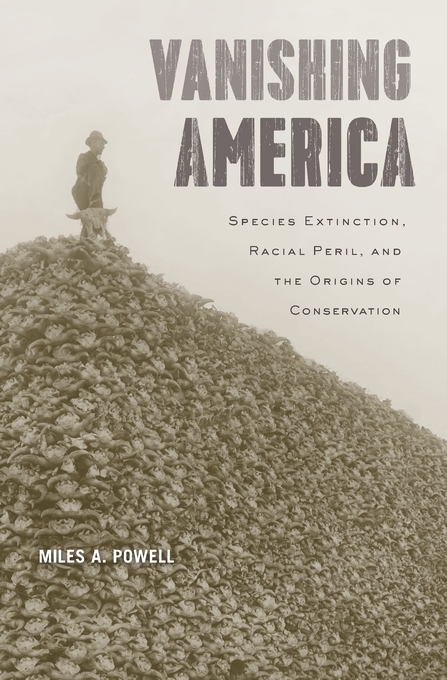 Fears over the destiny of white Americans drove some conservationists to embrace scientific racism, eugenics, and restrictive immigration laws. Although these activists laid the groundwork for the modern environmental movement and its many successes, the consequences of their racial anxieties persist.